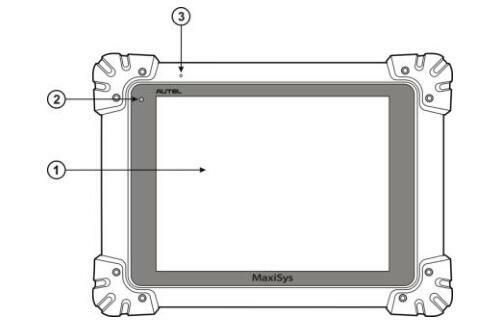 The internal programming of the MaxiSys Diagnostic System, known as the firmware, can be updated using the Update application. Firmware updates increase the MaxiSys applications’ capabilities, typically by adding new tests, new models, or enhanced applications to the database. * Middle Column – displays a brief introduction about the new changes to the firmware operation or capabilities. Tap ○i button to open an information screen to view more details, and tap the dim area around to close the window. * Right Column – according to the operation status of each firmware item, the button displays differently. a) Tap Update to update the selected item. b) Tap Pause to suspend the updating procedure. c) Tap Continue to go on updating the suspended update. 1. Power up the Autel Scanner MaxiSys Display Tablet, and ensure that it is connected to a power source and with steady internet connection. 2. Tap the Update application button from the MaxiSys Job Menu; or tap the update notification message when received one. The Update application screen displays. * If you decide to update all the items, tap the Update All button. * If you only want to update some individual items, tap the Update button on the right column of the specific item. 4. Tap the Pause button to suspend the updating process. When you tap Continue to renew the update, the updating process will resume from the break point. The Autel Maxisys Pro MS908P has 2 GB DDR-3 RAM, which comfortably handles large numbers of files and supports live streaming without hanging. 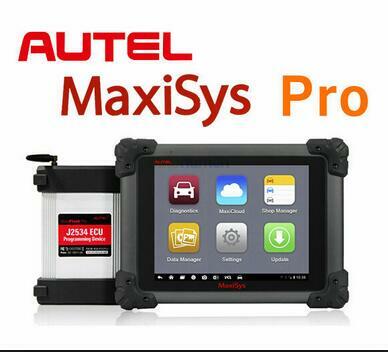 Why Autel MaxiSys Pro MS908P? 1. Its quad-core processor, the Cortex-A9 Samsung Exynos 1.4 GHz, provides high processing speeds. 2. The compatibility of the device with other add-ons makes it possible to install a language pack. 3. The scanned data is presented as texts and/or graphs. 4. 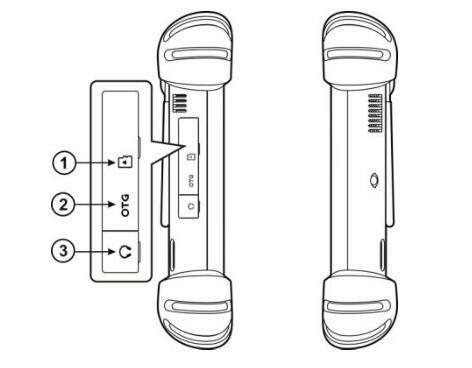 The device is compatible with a large number of vehicles. 5. Android Ice Cream 4.0 on which it runs enables multitasking and quick boot up. Almost 5 times faster than other diagnostic devices. 6. It is light, compact and robust. Therefore, you can carry and work with it anywhere without much hassle. 7. You can share data via Bluetooth and Wi-Fi with other people in your team or print for hard copies. It’s one of the best Professional Autel Scanners!! 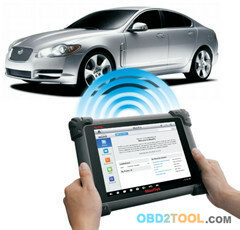 This Autel Scanner is mainly for professionals, those with Garage or Auto Repairing Shops. It wouldn’t suit you if you are a single car owner. The design is meant to serve many people. 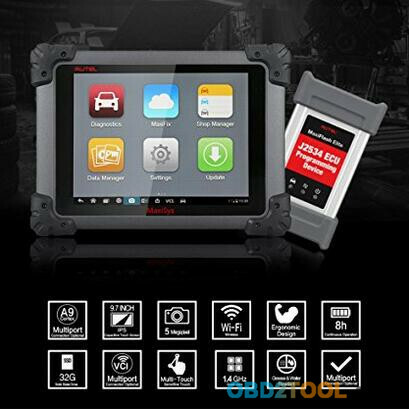 If you are an owner of a garage or car shop Autel Professional OBD2 MS908P, it could be of great help to you in getting things done fast. Below versions were released in September, including improved performance and bug fixes for MaxiSys series products, MaxiSYS MS906/908/Maxisys MS908P, MaxiSYS CV, MD808/MX808/MaxiService/MaxiDiag Elite. Fixes an issue that reports generated from auto scanning are not fully displayed. 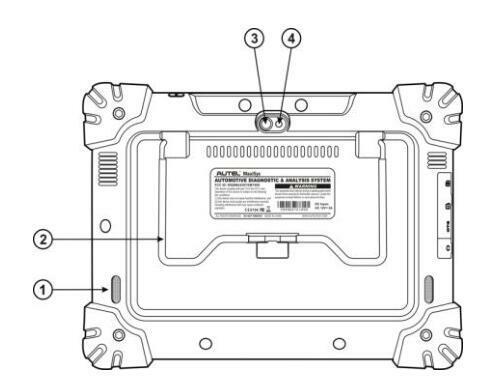 Fixes bugs that caused failure in replacing PCM/TCM and adding a new key in Immobilizer GEN-III. Fixes bugs that caused errors in performing BSI function in BSM. Addes 36 functions for diesel engine and gasoline engine. Adds diagnostic support for models up to 2017. Optimizes on-line coding function for VW, Audi, SH-VW, FAW-VW, FAW-Audi, and adds support for the latest models in 2017. Improves on-line coding function for VW, SH-VW and FAW-VW, and adds support for the latest models in 2017. Updates functions in Engine system, SRS, ABS, EPS and IMMO for Huansu S2/S3, Weiwang 205, 206 and T205. Adds support for Huansu S3L, S5, S6, H2, H3, H3F, H6, and Weiwang 205, 206 Korean, T205 Korean, covering Engine system, SRS, ABS, EPS and IMMO. Optimizes Auto Scan that the name of ECU being scanned will be displayed in real time. Fixes bugs in Key Learn function in PEPS for H6_2013 model. Optimized DTC library for Engine system for H6-Coupe. Adds support for basic and special functions for 2017 and some 2018 models, and for 2017/2018 Hyundai Kia American. Fixes bugs in Program Key Fob function for 2000 GMC Truck Savana. Fixes bugs that caused communication failure in Chassis for 2002 GMC Truck Astro. Fixes bugs that caused faiure in performing Program Key Fobs for 2001 Chevrolet Malibu LS/ 2005 Cadillac Escalade. Fixes bugs that caused display errors in DTCs in Auto Scan function for 2007 Chevrolet Aveo LT.
Fixes bugs that caused errors in DTC definitions for 2011 GL8. Fixes bugs that caused failure in VIN Analysis for 2017 Cruze. Adds Read ECU Information, Read Codes, Erase Codes and Live Data functions for EcoLife, Iveco-Eurotronic 2, Iveco-Intarder CAN and Iveco-Intarder KWP. Adds Active Test and Special functions ( including Self Adaption Gearbox System, Self Adaption Clutch, Parameter Setting, and Maintenance Information) for Tronic Lite, eTronic, ZF Ecomat 2/4, ZF EcoLife, AsTronic 1, AsTronic 2, AsTronic Mid, EST-32, EST-42/48, WSK EST41/61-WSK, and WSK EST41/61-WSK Daimler Chrysler, etc. Adds diagnostic support for models in 2017. 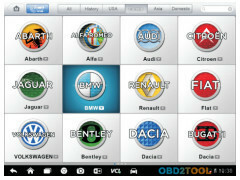 Adds Auto Service Reset, Auto Oil Reset, Manual Reset functions for all models. Below versions are to be developed in October, including improved performance and bug fixes for MaxiSys series products, MaxiSys 906/908/908 pro, and MaxiSys CV. 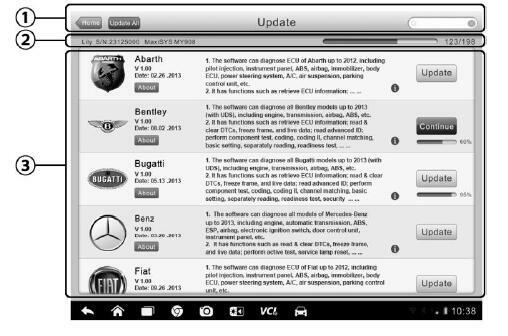 Adds support for 2018 models, such as 370Z, ARMADA, VERSA Sedan, INFINITI QX30, INFINITI Q50, and INFINITI Q70. Adds NATS and Learn Key function for 2015-2017 INFINITI Q30. Adds support for VIN Analysis for more models. Adds 150 Hot Functions, such as Steering Wheel Angle Sensor, Cabin Filter Regeneration, Interval Of Oil Change (OCS) Oxidation, and Injector Adaptives. Fixes bugs that caused display errors in dynamic menu in BSI. Fixes bugs that caused errors when performing Customize function in MVCS. Optimizes Radar Calibration and Static Radar Calibration functions. Adds special functions for some systems such as SRS. Adds support for 2017 models. Optimizes special functions for models since 2010. Adds 250 special functions for models before 2010. Adds diagnostic support for thirty 2017-2018 models, such as Astra, Zafira, Corsa-E, Antara, Adam, Cascade, Commbo-D, Insignia and Mokka, covering basic and special functions. Fixes bugs for some softwares. Adds Read Codes, Clear Codes, Live Data, ECU Information, Active Test, Adaptation, On-line Program and On-line SCN for Chassis 205, 222, 204 and 212. 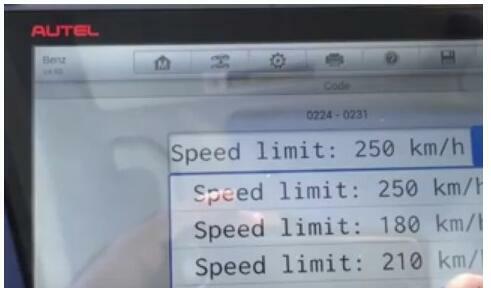 Improves the speed of accessing Engine and BSI Data. Version updates. 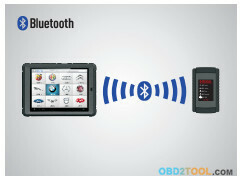 Adds diagnostic support for Baojun 510 and 310. Fixes bugs for some special functions. Optimizes the text of some prompting messages. Updates functions for three 2016 models: EV150, EV160 and EV160. Adds support for 21 models: Weiwang 306, Weiwang M307 (M30 Economics), Weiwang 307 (2015 model), Weiwang 608EV, Weiwang 308EV, EV150 Economics, EV200, EV200 (2016 model), EX200, EX260, EU260, EU220, EU300, EU400, Saab EV (before 2014.9), Saab ES210 (since 2014.9), EC180, EC200, Polar Star E, EH300, and ARCFOX-1. Adds programming and coding functions for Cruze, lacrosse, Excellegt, and GL8. The MaxiSys TM /Maxisys Pro TM Diagnostic Platform is an evolutionary smart solution for specialized automotive diagnosis. 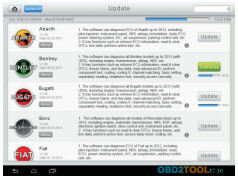 Utilizing the powerful A9 quad-core 1.40GHz processor, and a 9.7 inch LED capacitive touch screen, combined with the best possible coverage of OE-level diagnostics, and based on the revolutionary multitask-capable Android Operating system, the MaxiSys organizes information with test instrumentation to help you diagnose symptoms, codes, and customer complaints easily, quickly and efficiently.